U Bead Overlap liners wrap over the top of the pool wall and are held in place with clips. 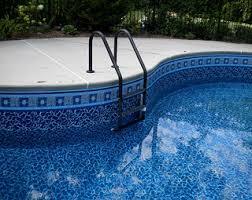 Standard beaded liners have bead that snaps into the pool wall coping. U- beaded liners Slips over the top of the pool wall. 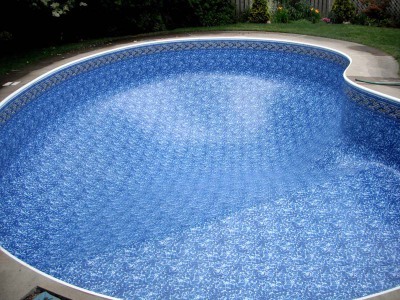 Standard Beaded Liners Fit 48 inches (No Cove) and 52 inches; (4 inches Cove) pool walls. Cove refers to a triangular hard foam piece that rounds corner where your pool walls meet the floor. 54 inches pool walls available by special order and may not be available in all patterns. Classic Liners are made from the same material as our standard liners but are lower in cost due to their popularity. Colour of material may vary, come into our store and ask to see actual liner sample. Seam lines may be visible.